Open conversations, honest confessions, vibrant photo shoots – that’s what magazine “Žmonės” is about. Life stories are told by acting and stage professionals, cultural enlighteners, business and academic leaders, athletes and public figures. This magazine is about us, people: creating and changing, rising and falling, and always having a passion for life. Everything a modern city woman is interested in: style and fashion trends, self-knowledge, personal development, talks that will get you inspired. Welcome to the world of communication challenges! A captivating plot, attractive visual content and augmented reality effects – that kind of content is currently in the spotlight. Žmonės CONTENTUM is a content marketing agency that combines innovations and an extensive experience of publishing and working with the most prominent brands. Our craftsmanship is your leadership. One of the largest companies engaged in the distribution of periodicals and books in Lithuania and abroad. Within a well-designed logistics system, our products reach the retail shelves in less than 24 hours. By having longtime experience and vast knowledge, we are able to predict the sales of publications and so manage their circulation and availability in the market. 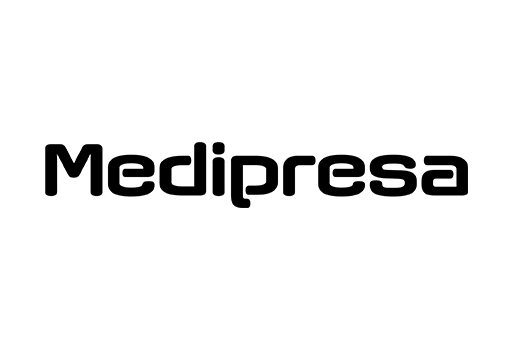 Medipresa publications include such magazines as “Žmonės”, “Laima”, “Ji”, “Edita”, “Moteris”, “Panelė”, “Cosmopolitan”, “Moters savaitgalis”, “Prie kavos” and many others. Manodaktaras.lt is a site where doctors and patients find each other. The only website of its kind in Lithuania, this is where you’re able not only to find the right doctor by his/her area of expertise, city or preferred time of visit, but also to register immediately for an appointment and assess the doctor afterwards by leaving feedback. We have created "Perku knygą" to help you quickly find the book you want, buy it at an affordable price and get it delivered to wherever you are. Here you’ll find not only the most popular publishing houses, fashionable authors and their latest works, but also previously published and hard-to-find books. Practical tips for every woman: recipes, your home, health and healthy lifestyle, leisure, love, psychology and interviews.